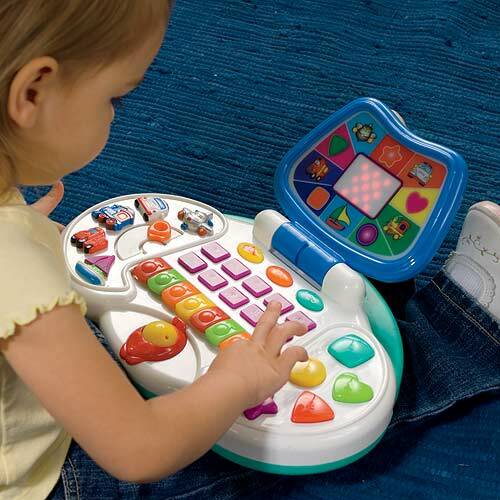 Cheap DJ tools don’t have to be toys… if you buy carefully. Finally you have to get enough tunes to DJ with, which even at the lower prices digital affords you, is still an expense. Before you know it, that bargain DJ controller has turned into a far more expensive game. But at the same time, if you want to DJ seriously, there are corners you can’t really cut: You can’t buy a nasty cheap toy-style controller. and you can’t live with a cut-down version of Traktor or Virtual DJ that’s so limited you can’t even record your mixes on it! So here we’re going to look at how to get from nothing to your first DJ booking for as little money as possible, using every trick in the book! Sometimes the only laptop in the house really isn\’t up to the task. Hopefully, you already have a laptop and don’t need to buy one. If your laptop is getting old and pushing it in terms of storage space/processor speed, you’re going to have to be a bit careful when it comes to running DJ software on it. So set up a new user and make sure that the user account is stripped of everything unnecessary – Skype, wireless, bluetooth, and any background processes you don’t need for DJing. That way you’ll get the best “bang for your buck” and may not have to get a new laptop for the job. If you do need to buy one, you’re not looking to have a cool Sony or MacBook here. Get the cheapest laptop that does the trick. You are also not going to go for this year’s model; any laptop made in the past 2-3 years with a Core 2 Duo or better processor will run basic DJ software. A 120GB hard drive will be big enough. Get 2GB of RAM. That’s it. Now start shopping around. You want to make a statement with your kit? Then make your laptop look good by customising its lid with your DJ name or logo. Get someone artistic to paint it for you. There you go, no need for that glowing Apple. 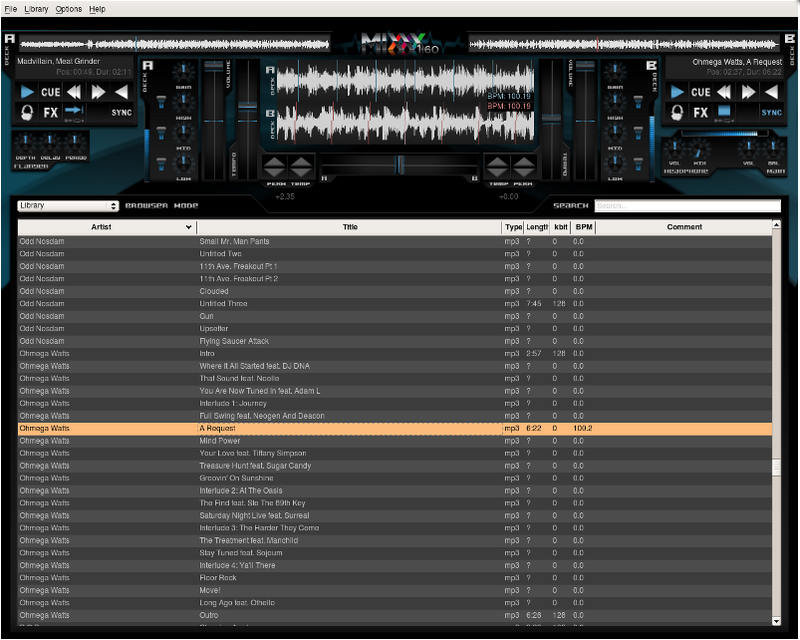 Mixxx is fully featured, professional-grade software… for nothing. iTunes is a no-brainer; it’s free and everyone uses it to organise their music libraries. Get the latest version of iTunes here. For MP3 editing and tidying up your mixes, open-source music program Audacity will do you fine – no need for something expensive like Wavelab, great though it is. You can get Audacity for free from here. For tidying up MP3s and banging files into shape in a way iTunes sometimes can’t, use MP3tag, which is also free (although they appreciate donations). Mp3tag can do batch operations on your MP3s, and also supports online database lookups from the likes of Amazon, discogs, or freedb, allowing you to automatically gather proper tags and cover art for your music library. You can get it from here. Finally, of course, your mix software. DJ software is expensive! The LE versions you get bundled with controllers have vital features disabled (they want you to buy the full versions, after all), and the full versions put a real hole in your pocket. Luckily, there’s a free alternative: Virtual DJ. 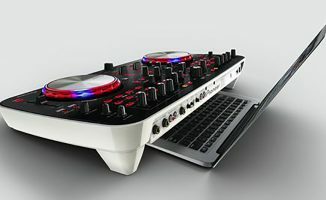 It’s been around since 2003, and is one of the most widely used DJ programs by mobile and hobby DJs. The latest update was just released this year, and you can snag a free version of it (Virtual DJ 8 Home) over on their website. 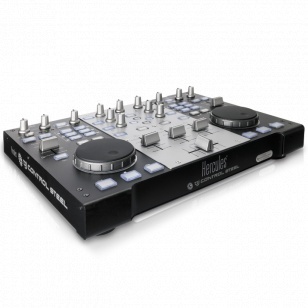 The Hercules Steel is a professional-grade DJ controller at a steal of a price. Note I said “best value”, not “cheapest”. 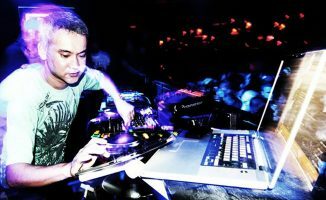 I DJed professionally for many years with no DJ hardware at all, just a laptop. 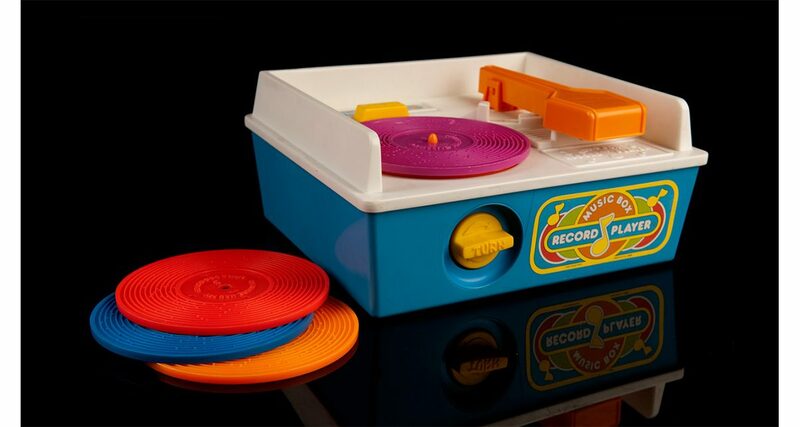 When I started digital DJing there was simply no hardware good enough to make me want to use it. I mapped all the controls to my laptop keyboard the way I wanted them and played clubs professionally straight from the PC. 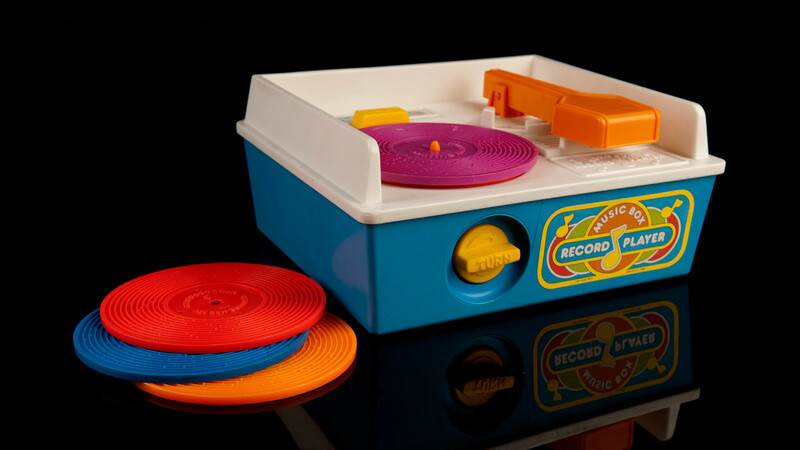 But nowadays, I’d always recommend using a controller; two jogwheels and some knobs and buttons: after all, twiddling things is what DJing is about! It’s fine to learn on the keyboard, but that’s not a permanent solution. Mixxx works just fine with the Hercules DJ Console Steel, which is the cheapest controller I’d buy as a serious DJ that is guaranteed to be compatible with Mixxx. (I’d rather go back to using the keyboard rather than use a bad controller.) You can get this controller for around $250 if you shop around. Only thing is, it has no sound card. Again, you can cut a bit of a corner here from the usual DJ soundcards at $90+; if you get a Behringer U-CONTROL UCA202 for around $29, you can set it up to be your main output, and use your laptop’s built-in sound card for your headphones. So that comes to $279. Alternatively, you can go for the Steel’s bigger brother, the Hercules DJ Console RMX, which has a built-in sound card, and comes in at $290. For the sake of an extra $10, that’s what I’d do. Of course, you could buy the Behringer and pair it with the Numark Mixtrack, which is a great controller at only $149; only thing is, I haven’t got evidence it works with Mixxx. If anyone has managed this, please let us know! If you haven\’t got any suitable \’phones knocking around, these Sennheisers are a great buy. DJ headphones need to fulfill certain qualities to not be a waste of your money. As well as having good frequency response, they need to be loud, durable and comfortable. The Sennheiser HD 205 Studio Monitor DJ Headphones with Swivel Ear Cup are a great buy at under $40. However if you have any headphones at all, try those first: I DJ on some overgrown personal stereo headphones quite happily; they wouldn’t be loud enough for a club, but most of my gigs aren’t in clubs. Remember, try what you’ve got first – some people happily use huge audiophile ‘phones, and others even use earbuds! 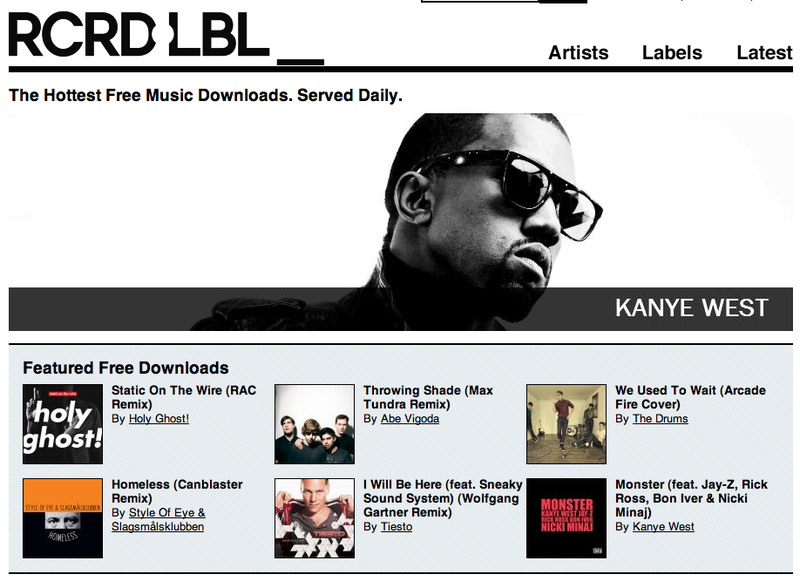 RCRD LBL offers hundreds of MP3 downloads for free. 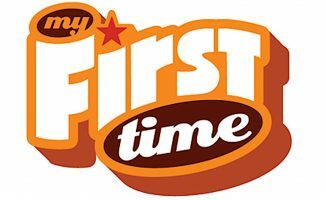 What you need to do first is rip all the CDs you’ve already got to give you a base of tunes to DJ with. So there you go – you’ve got your laptop, software, hardware and music, and are set up with all you need to DJ properly for somewhere between $178 and $640; the price of a handful of decent import 12″ singles “back in the day”. Always remember this: It’s not what you’ve got, it’s how you use it. In other words, get the kit you can afford then forget about it. Before digital, we all had two decks (often nasty belt drive ones) and cheap 2-channel mixers (often an equally ropey brand, like Realistic from Tandy). Total cost? About the same as this. We produced some great DJ sets and rocked some life-changing parties on such kit, and you can do the same today – only with all the flexibility of digital. Got any suggestions on how to DJ on the cheap? Can you cut our costs even further? Or have we gone too far? Let us know! This is a very good article about how to start djing and buy dj gear for the first time. I myself had spent alot of money on stuffs i dont even need like fancy dj bags, cd cases, musics, scratch vinyls, etc when i start djing. if i can go back time, i just want to buy what u said here. Very good article. The Laptop is truly where your money needs to go at first some people have habits of getting grandiose ideas of djing, making music etc. and then their goals just don’t come to fruition. Theres even cheaper ways to go about this. This company makes the hands down cheapest dj equipment and should be used before you get truly serious to incur the least amount of “hit” to your budget. (www.ionaudio.com). Also, their stuff is fairly decently reviewed you can get a full setup minus sound card for approx. 75 dollars. Hope this helps. Kind of agree, except if your controller is no good, you probably aren’t going to want to use it, which is bad news Also I believe in playing live very early in your DJing career, as only then do you truly “get the bug” and want to continue. I guess if you can buy a decent controller second hand, at least you can probably sell it for what you bought it for if it tunes out DJing is “not for you”. I’d also add to this, go second hand as much as possible. There are some right bargains out there on ebay, gumtree, preloved, to name but a few. That next level up of controller might not be as far away as you think. Always make sure you can get there and see the item working before you plump down the cash though. So you dont get stung. I picked up 2 quality 1210’s + coffin the other day for £275! To Howitzer Great point re second-hand, you need to use your common sense but it’s amazing (and a bit sad) how many people buy DJ equipment and never use it, so there’s practically new kit being sold off for $$$s less. I just thought of a cheaper soundcard alternative! If it’s just for home use/practice, find an old computer with a PCI soundcard, rip it out and chuck it into your computer. With asio4all, you should be able to use both onboard and PCI card. If you don’t have an old PCI card, buy one of those $1 USB soundcards on eBay, they will suffice for practice purposes. Anyway, I’m forwarding this article to anyone aspiring to DJ, as a lot of people are put off by its pricey nature. Or you can use Stereo separation with a splitter cable. Both channels on MONO, one through the Left and the other one through the Right. At least, thats how I started. Perfect way to just give it a try and practice beatmatching. I want my umix controlpro 2 to send the master to one headphone speaker and the monitor to the other headphone speaker. Is it possible? Right now they each play in both speakers, and you can essentially adjust their individual volumes, but both play in stereo if that makes sense. That’s called “split cueing” and it’s not possible unless your controller has a split cue function, whic your unfortunately doesn’t. There aren’t many DJ controllers that do, actually. Another beginner here [well I haven’t even started yet], and I just wanted to thank you for the amazingly helpful information on this site. Another good source for free music is soundcloud. 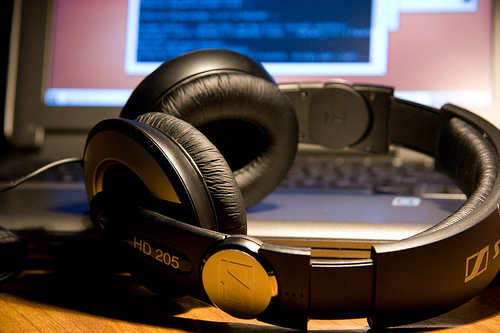 DJ’s and producers often post free tracks and mixes. It’s almost as addictive as bin diving to hunt around, find new artists and aspiring artists as well as some very well established ones who just want to share their stuff. And I whole heartedly agree with finding second hand gear. I wound up acquiring a Numark OMNI controller for nothing more than a few event posters I designed for a friend/DJ. Sometimes if you have other skills work in barter rather than $$$. which is a better buy The Hercules Steel or the numark mixtrack pro? hey guys i been waiting for the mixtrack pro to hit stores in the U.S but nothing yet i know the releae date was back around nov 15th , anyone know if it has been delayed or anything? Last time I spoke the the guys at Unique Squared (one of our advertisers) they said they were getting supplies in imminently – could try them. How’d you get away with DJing in clubs with only a laptop? Haha. I’ve been trying to prove myself this, as presently, don’t have the budget for DJ equipment. Haha! Oh yeah, Phil, I’m about to purchase my first controller, and after all the research and YouTube videos, I’m down to the Hercules RMX and Control Steel. Is the sound card of the RMX long-lasting and of quality? I ended up deciding on the Control Steel + a quality sound card. What are your thoughts? Oh yeah, and…how do they sound in clubs? Thanks a lot Phil for your mentoring! You’re a legend! If you got a Control Steel and an NI Audio 2 sound card, you could stop worrying about sound card issues, although personally I prefer a built-in sound card and think the RMX sounds OK if not amazing (I trialled one for a few weeks when my controller broke once). I’m on a shoestring budget and I use DJAY for the iPad 2, the griffin splitter cable, a good library of dance music, and a good set of headphones when I DJ at house parties. What are your thoughts on that? Going to sell it to get an Ultrasone HFI-580 or a Shure SHR-840. 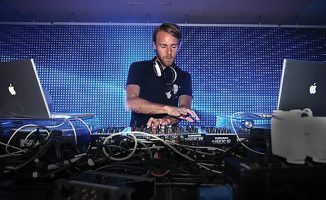 great article I’ve just stumbled upon this after purchasing my first bit of DJ gear. Luckily I saw your Youtube review of the Hercules RMX, its a great bit of kit. And glad I’d listened to you and didnt go for one of the inferior models like I was going to do.